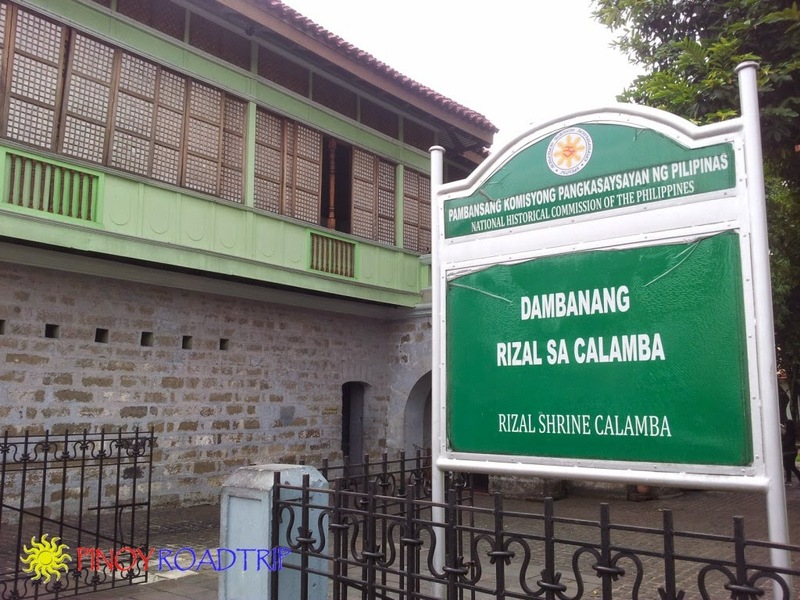 Rizal lived in Calamba from the time he was born until he was 9 years old. June 22, 1961: Jose Rizal was baptized 3 days after birth at the Calamba Church adjacent to his house. 1864: Almost 3 years old, Jose Rizal learned the alphabet. 1865-1867: From 4-7 years old, his mother taught him to read and write. 1867: A private tutor, named Leon Monroy, was hired to teach Jose Rizal Latin, reading, writing and arithmetic. The tutor lived with them in Calamba. 1869: At 8 years old, Jose Rizal wrote his first poem, "Sa Aking Mga Kababata." 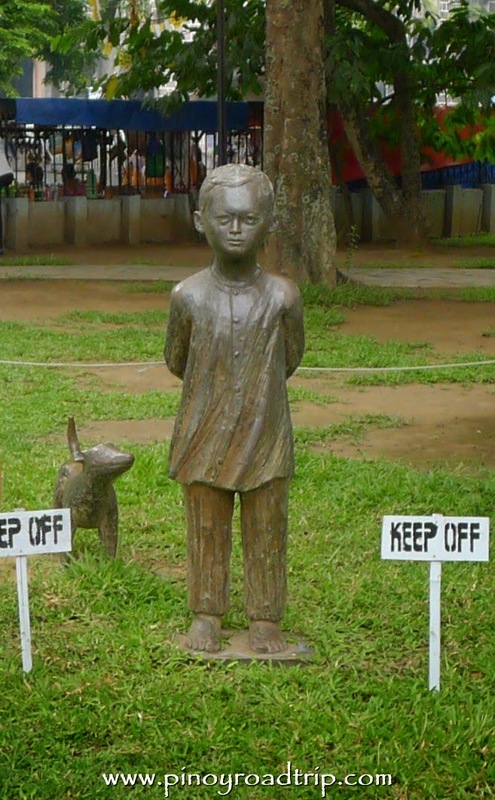 1870: At 9 years old, Jose Rizal was sent to Binan to attend the Justiniano Aquino Cruz school. He lived with his aunt. 1871: His mother was imprisoned by the Spaniards FOR 2 YEARS, on fabricated charges that she connived with her half-brother, Jose Alberto, to poison his wife. Jose Rizal was 10 years old then. 1872: The execution of Fr. Gomez, Fr. Burgos and Fr. Zamora for subversion. Paciano, Jose Rizal's elder brother, dropped out of school because friends of the priests are being followed. Paciano is a good friend of Fr. Jose Burgos. From 1872, Jose Rizal stopped using Mercado and started using Rizal, so as not to be associated with Paciano. He was the first family member to use Rizal. Jose Rizal enrolled at the Ateneo using the family name Rizal. Jose Rizal was 11 years old then. Rizal was baptized on June 22, 1861, 3 days after birth. The parish priest who baptized him was Rev. Fr. Rufino Collantes. He had one godparent, a Rev. Fr. Pedro Casanas. Ricial means "green fields, indicating the family's occupation as cultivators of land." "the upper stories of the bahay na bato were painted in a variety of bright tints during the 19th century Philippines." 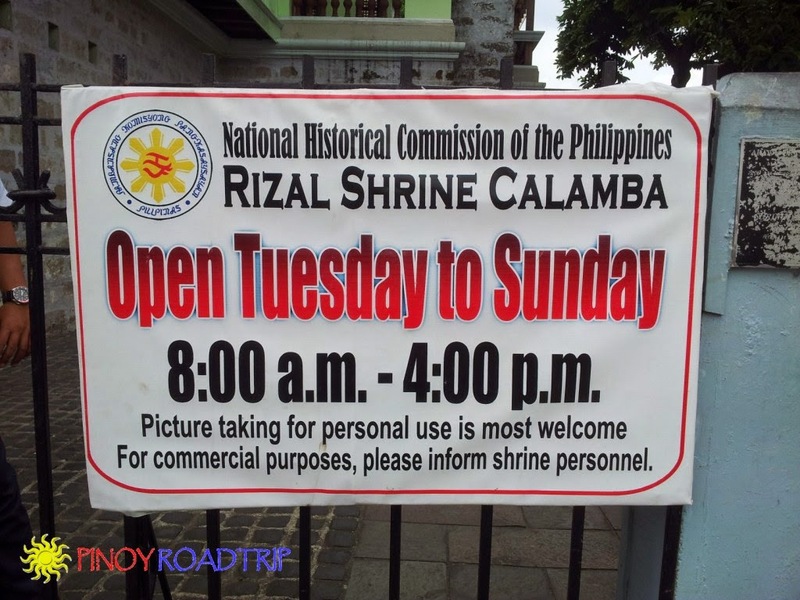 The National Historical Institute chose to paint the shrine in green to indicate the source of livelihood of the Rizal family. The Rizal Shrine in Calamba painted in green. The paternal ancestor was Domingo Lamco. 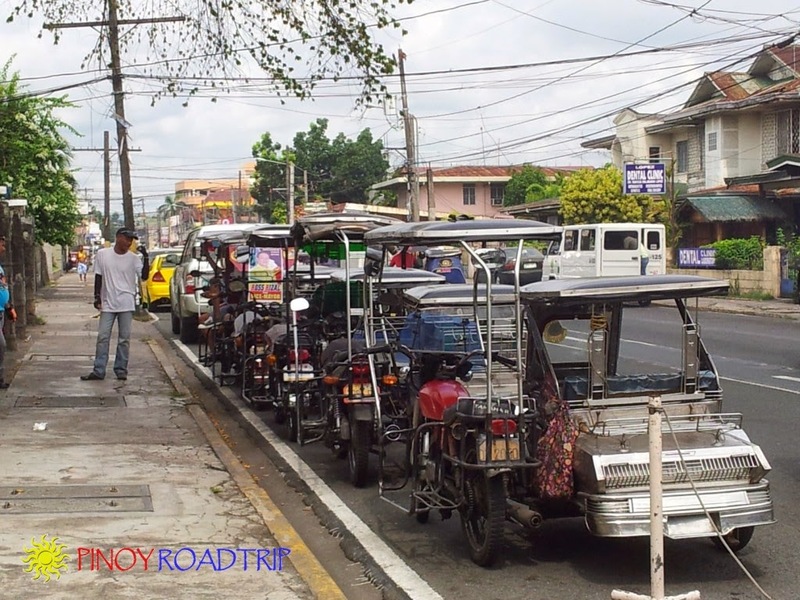 1731: Domingo Lamco adopted the name Mercado. Filipino families to choose a surname from a list of family names. it a bit into Rizal. But the family continued to use Mercado. Paciano, Rizal's elder brother, with Fr. Burgos. 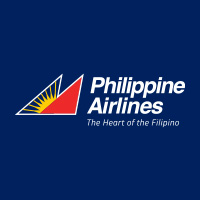 advised that the Rizal name be used. The first place you encounter after climbing the stairs is the formal dining room. The windows of the living room look out to the gardens. The left side of the photo is the path to the living room. The windows look out to the street. The path on the left and the right lead to the bedrooms. "There is NO RECORD OF THE ACTUAL FURNITURE ARRANGEMENT. ... and seeing this view of the grounds. The red roof that you see is the St. John the Baptist Church where Rizal was baptized. ... with his dog Berganza. The tombstone of Rizal's parents is located on the right side of the house. The tombstone of Rizal's parents, Francisco Mercado Rizal and Teodora Alonzo. In 1996, their remains were transferred from the North Cemetery to the Rizal Shrine. At the center of the building is the museum. You can buy souvenirs such as ref magnets and photos. There are also books you can buy that are not available in the local bookstore. You can view clothes worn by Jose Rizal. A fragment of Rizal's suit that he wore when he was executed on December 30, 1896. It was found in his grave in 1896 by Higino Francisco and Romualdo de Jesus. It is made of silk. Toothbrush holder made of bamboo. while he was in exile in Dapitan. Slippers embroidered by Leonor Rivera and given to Jose Rizal before he left for Madrid in 1882.
then a left turn at J.P. Rizal street because Burgos and J.P. Rizal streets are one-way. The entrance of the shrine is along Rizal Street. 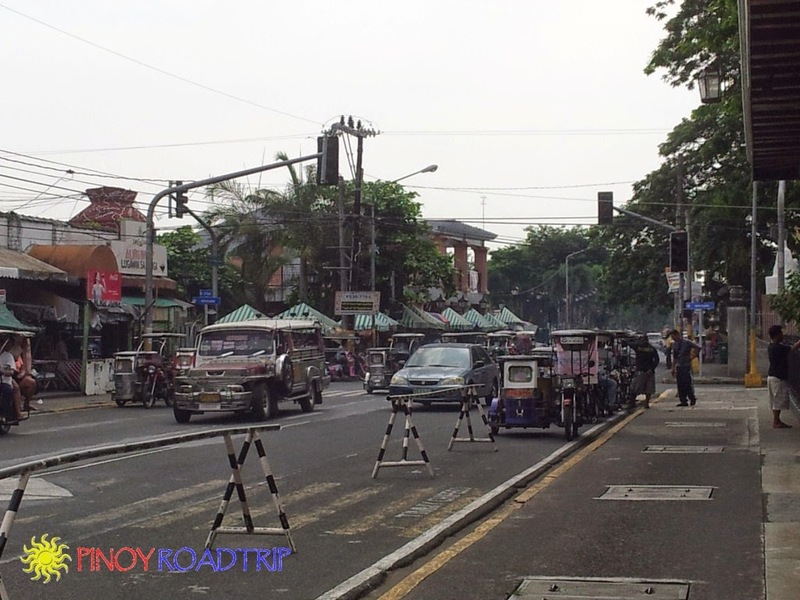 Parking is along the street of J.P. Rizal Street. 1. To verify if they're open on the day of your visit. 2. To book a guided tour and film showing. The guided tour and film showing is not offered to walk-in visitors. The shrine do not employ regular tour guides. They request tour guides from the city hall who are actually students who are on-the-job training. So you need to request in advance for this service. To see the film, they also need a technician on hand to operate the equipment. They also turn on the air-con in the audio-visual room in advance if they know what time you're arriving.